Like many other postindustrial cities, Cleveland has more infrastructure — roads, bridges, and pipes — than necessary to meet the needs of the city’s shrinking population. The Cleveland Urban Design Collaborative (CUDC), a nonprofit based at Kent State University and led by Terry Schwartz, has been working to transform the city’s existing assets into lively public spaces. 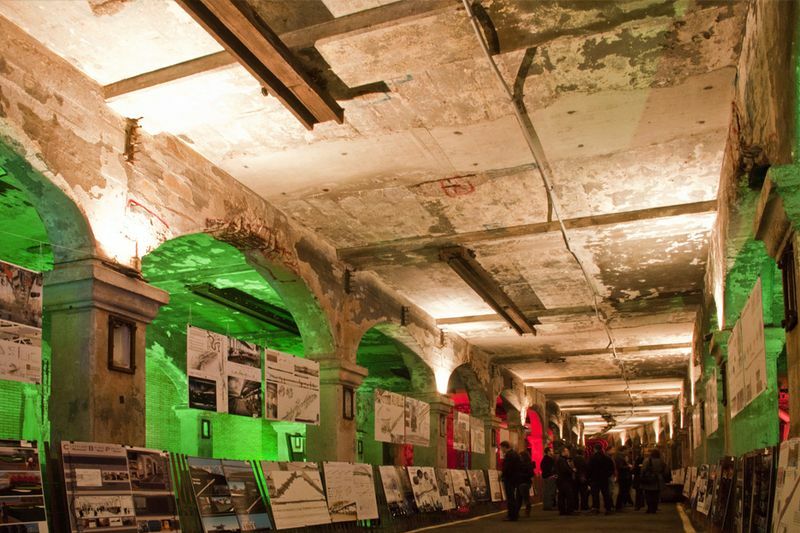 CUDC worked with local firm Environmental Design Group to develop ideas for alternative uses of the lower level of the Detroit-Superior Bridge, which was originally designed for streetcars and has been vacant since 1954. Since 2009, they have been organizing temporary events and installations, including wayfinding to help people get to the bridge, taped-off bike lanes, modular seating, flea market stands, and a portable lawn on wheels. Ultimately, Schwartz hopes the bridge will become a permanent public space. In the meanwhile, these interventions invite people to envision future possibilities for the space and make it their own.